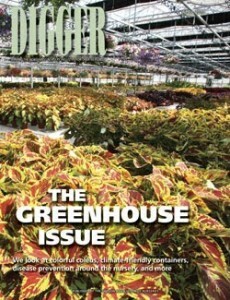 If you haven’t yet had the chance to check out our April greenhouse issue of Digger, please do. We have articles on the many varieties of coleus plants (PDF), techniques for growing the bluest hydrangeas (PDF), and why it may be beneficial to look at your greenhouse through a plant pathologist’s eyes (PDF). Digger magazine is mailed free to qualified nursery industry professionals. Subscribe online, or call us at 503-682-5089. Also, you can check out our back archive of Digger articles here.